Take a look around and learn more about your Parent Teacher Organization! Check the calendar, sign-up to volunteer at upcoming events, find a form or flier, purchase products, make a donation, offer a suggestion, check staff wish lists, and more. Feel free to e-mail us using the button below or the Contact Us page anytime. We LOVE to hear from you! Thank you to all our wonderful teachers and staff! You make Park School the very best! Wednesday, April 30th from 4pm to 8pm! Have your teachers take your orders and serve your food! Click here to find out what time your teacher will be there! Looking to purchase something for your child's classroom? 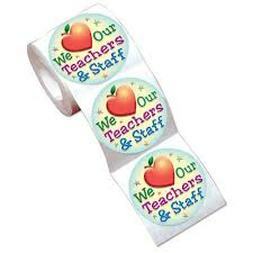 Wondering what gift a staff member would enjoy most? Park Staff Wish Lists can be found here.